BLACKSBURG, Va., March 31, 2010 – G. Don Taylor, head of Virginia Tech's Grado Department of Industrial and Systems Engineering, is the president-elect of the Institute of Industrial Engineers (IIE). 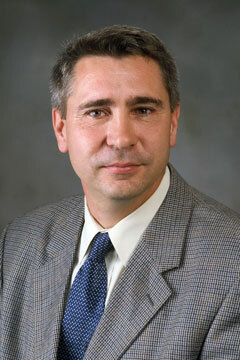 Taylor, who also holds the Charles O. Gordon Professorship, joined the Virginia Tech faculty in 2004. In 2007, industrial and systems engineering received a University Exemplary Department Award for the development and execution of innovative and effective approaches to advising its undergraduate and graduate students. Prior to his arrival at Virginia Tech, Taylor held the Mary Lee and George F. Duthie Endowed Chair in Engineering Logistics and was the director of the Center for Engineering Logistics and Distribution at the University of Louisville. Taylor, an IIE Fellow since 2006, is a longtime member of the organization, and has served as its senior vice president at large (academics) and as program chair, 8th Industrial Engineering Research Conference. Taylor earned his doctorate in industrial engineering and operations research from the University of Massachusetts in 1990. His earned his bachelor's and master's degrees in industrial engineering from the University of Texas at Arlington in 1983 and in 1985, respectively.